Files over 2GB files are simply too large to upload and store on the server. The bandwidth required for customers to download large files is huge. 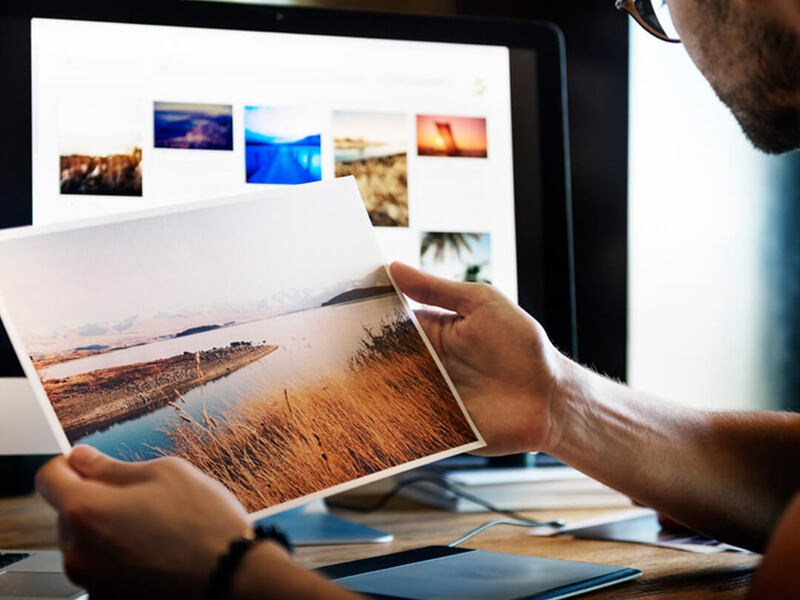 What’s the solution for selling large digital files using WooCommerce? I have discovered a way you can sell large downloadable digital files using a Dropbox paid account as the server where you store those files. Storing large digital files on Dropbox also means those digital files are more secure because Dropbox is https. Create a Dropbox paid account. 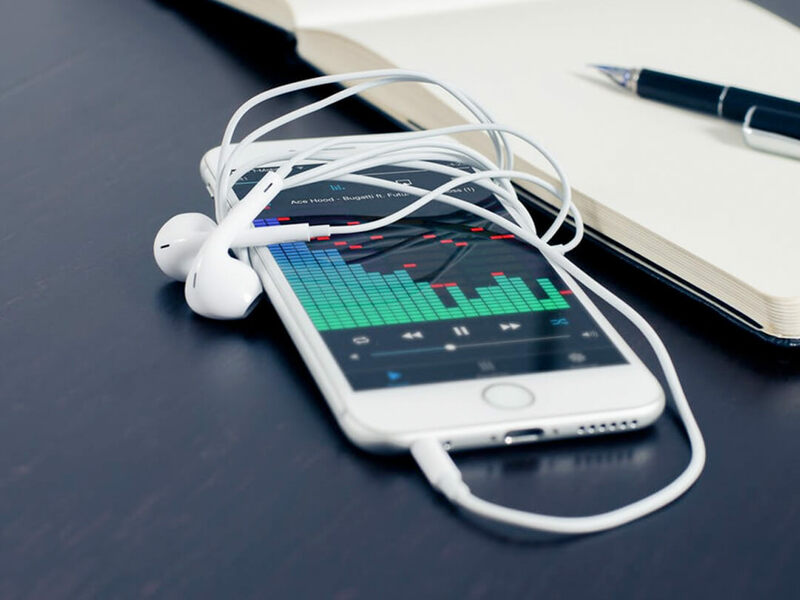 Upgrade to the Plus plan $11.58 per month. I have a paid account Dropbox plus account which gives me 1TB (1024 GB) of disc space – more than enough to store large digital files for download. 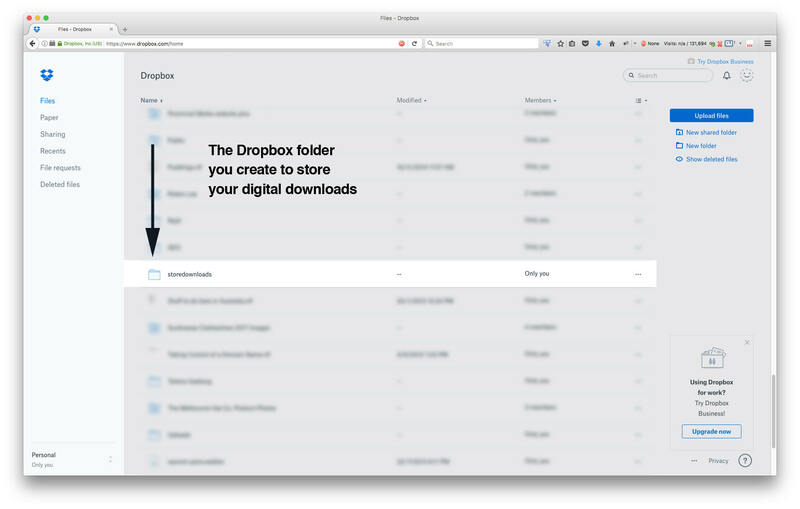 Top Tip: Download and install the Dropbox app on your Computer or Mac. This will allow you to access your Dropbox folder as you would any other folder on your computer making it much quicker to add files to your ‘storedownloads’ folder. In your Dropbox account create a folder called ‘storedownloads’ to store all of your digital files. Note: It’s best practice to name your large digital files without spaces in the name. Learning-Martial-Arts.mp4 Good √ because there are no spaces in the name. Upload your digital files to the ‘storedownloads’ Dropbox folder. Selling multiple files in one purchase? If you have many files that form part of a digital product download, you could compress those files into a single .zip file. This will save the customer having to download load multiple files. You might use this approach when creating albums. STEP 02 – Force file downloads to customers computers and prevent movie files playing in browsers. 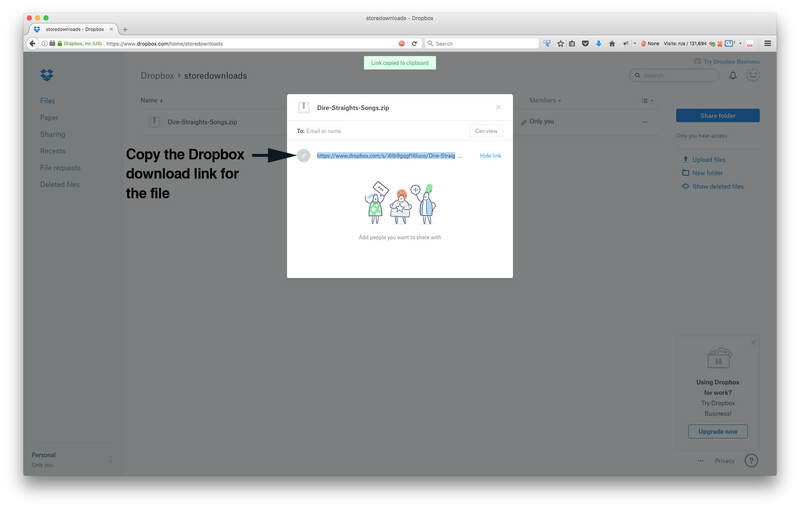 Once your file has been uploaded to your shared folder on DropBox, right click the file and Copy Dropbox Link. In order to make the download link work correctly in Woocommerce you need to make two edits. Replace https://www.dropbox.com with https://dl.dropboxusercontent.comThis will force the link to become a direct download link. You will also need to edit the URL query parameter too. This ?dl=0 becomes ?dl=1. Doing this forces files such as movie files to download to peoples computers rather than playing in the browser window. STEP 03 – Configure WooCommerce for large digital downloads. After extensive testing I’ve noted that very large files that are over 1GB fail to download correctly because the download ‘times out’. The file that is downloaded becomes truncated and corrupt. In order to address this issue you need to update your Woocommerce digital download settings. Click the Products tab / Downloadable products. Set the download method to: Redirect only. You’re now ready to login into your website and edit the digital WooCommerce product you are selling. 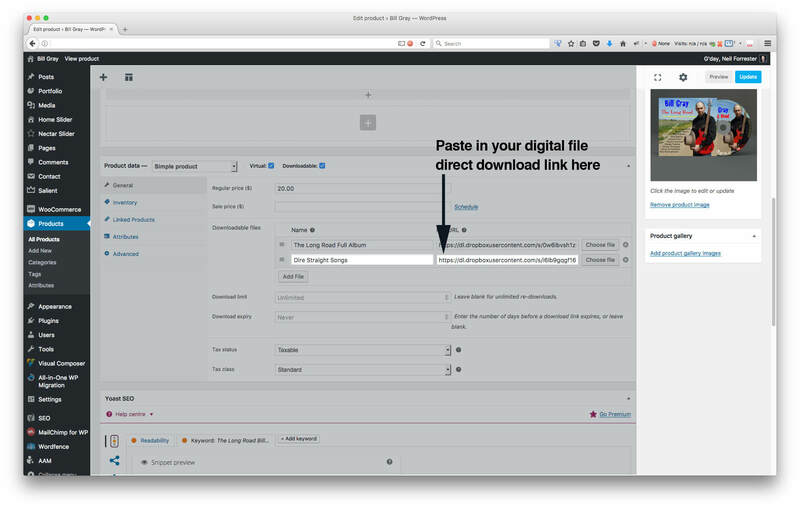 Under the General tab, add the digital file and paste in the Dropbox URL for the product. When a customer buys the product and clicks to download the file, the file is force downloaded to their computer using the bandwidth from Dropbox instead of your website. Plus, you are saving valuable discspace on the server and hours of time uploading large files via FTP. You are also protecting your files by storing them on the secure Dropbox server. You will need an upgraded Dropbox account though because the free account only comes with 2GB. Thank you! Worked absolutely perfect! I’ve been looking for this solution for so long, thank you. It takes forever to download for me.. ITs not working. I’m sorry to hear it is not working for you. Unfortunately, I’m not in a position to provide additional help. Sorry.